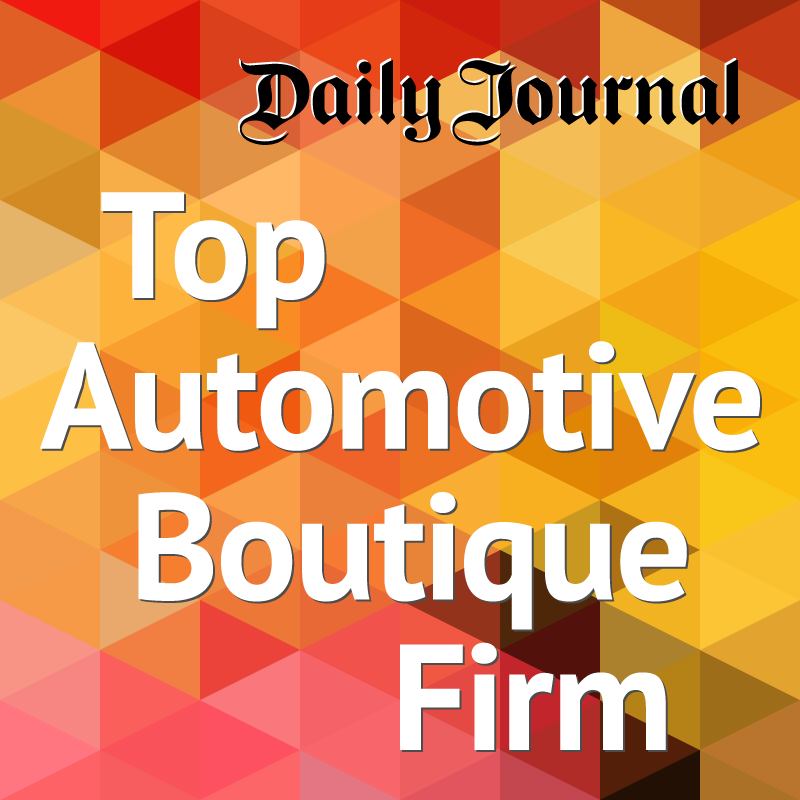 Scali Rasmussen's attorneys have been recognized for their accessibility, attention to client needs, and high degree of specialization in auto dealer law. Our team includes veteran lawyers with decades experience in high-stakes litigation, as well as Rising Stars, a distinction reserved for the top 2.5% of California attorneys practicing 10 years or less. Whether you need a simple consultation, or complete outside general counsel services, please contact us to see how we can help resolve your legal matters. Christian Scali has a diverse automotive industry practice that includes advice and counsel and complex and high stakes litigation, involving franchise disputes, lender liability, reinsurance and flooring disputes, consumer finance, consumer and wage and hour class actions, high stakes employment litigation, trade secret misappropriation and corporate shareholder and partnership disputes. Mr. Scali is known throughout the state of California for his work on behalf of the retail automotive industry in a series of advertising lawsuits brought against it under California’s Unfair Competition Law. He also regularly assists auto dealers and auto dealer groups with their mergers and acquisitions. In 2018, the Los Angeles Business Journal named him a Top Litigator in Los Angeles. Robert (“Bob”) Mizar, is a trial lawyer with extensive experience in defending clients in personal injury and property damage claims, as well as defending automobile dealerships in claims based upon the Consumer Legal Remedies Act (“CLRA”) and Song-Beverly and Magnuson-Moss Warranty Acts. In addition to automobile dealerships, Mr. Mizar’s clients also include motor carriers and common carriers, automobile and rental agencies. Melanie is a highly experienced legal and business advisor who focuses her practice primarily in two areas: Korean companies entering the U.S. market and automotive companies and dealers. Jennifer Burns (formerly Jennifer Price) has served as in-house and outside employment counsel for auto dealer groups, which experience provides her with a grounded perspective in handling employment-related compliance matters. As outside counsel, she advised businesses regarding compliance with employment laws and defended businesses in employment litigation, including participating in multiple jury trials for wrongful termination and discrimination lawsuits. Jeffrey Erdman is a senior litigation and trial attorney with nearly 25 years of litigation experience practicing in both the state and federal courts of California. Jeffrey has extensive courtroom and trial experience, both as plaintiff’s counsel and as defense counsel, and successfully argued cases before the California Court of Appeal. Jeffrey’s litigation experience spans many areas of business, including the insurance, manufacturing and service industries, as well as all variety of real estate disputes. Gus N. Paras has a regulatory and transactional practice. He was part of the team at Scali Law that drafted the California New Car Dealers Association’s 2015 Advertising Manual and routinely advises automotive dealerships on advertising compliance, Red Flags compliance and compliance with F&I regulations. Ms. Bhandari is an associate with The Scali Law Firm’s Employment and Litigation practice groups. She maintains a regulatory and litigation practice primarily focused on labor and employment law. She provides advice and counsel to clients on compliance with state and federal employment laws, including termination and on-boarding issues. Mr. DeSantis is an associate with The Scali Law Firm's Litigation practice group. He defends clients against consumer claims—including lawsuits brought under the Consumer Legal Remedies Act (CLRA) and the Song-Beverly Act—personal injury claims and in contract disputes. Ms. Dickstein is an associate with Scali Rasmussen’s Labor and Employment practice group. She represents employers in all aspects of employment litigation, including wage and hour class actions and claims of harassment, discrimination, retaliation, and wrongful termination. Mr. He's practice is devoted to business and consumer litigation, including defense of clients against consumer lawsuits brought under the Consumer Legal Remedies Act (CLRA) and the Song-Beverly Act.